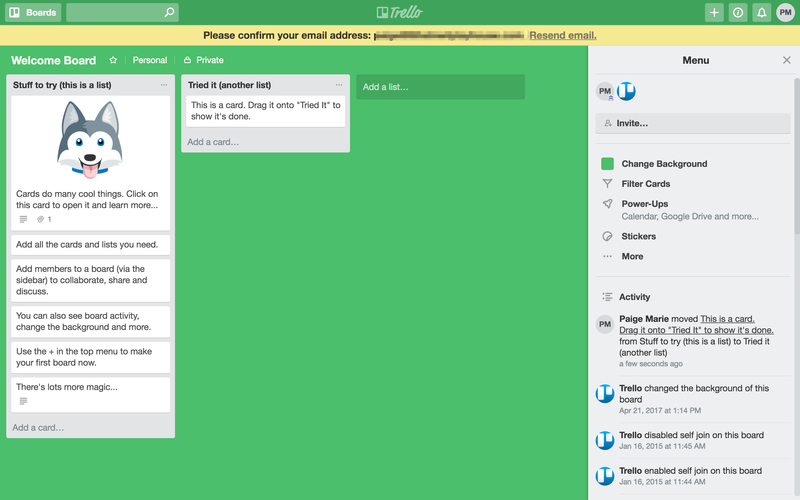 Trello is a project management and team collaboration tool that's best known for their friendly kanban board. 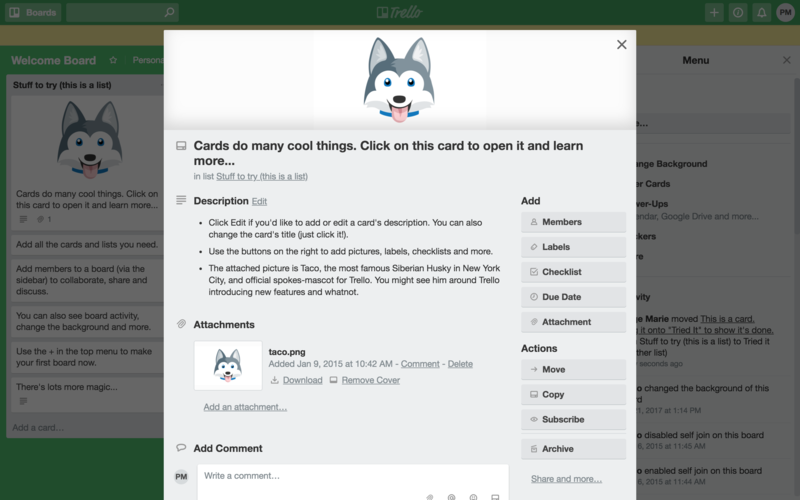 Their new user onboarding is a popular example for a reason — it's really good. 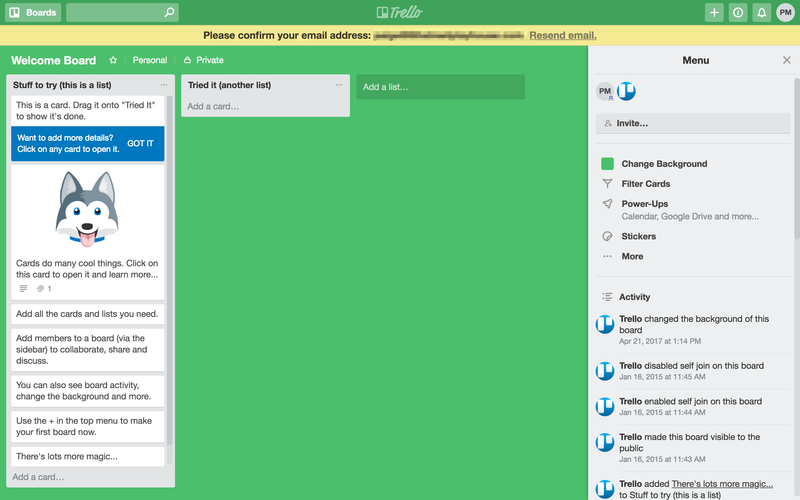 Trello designed a Welcome Board for new users, and filled out the fields to demonstrate just what users can do in their board. 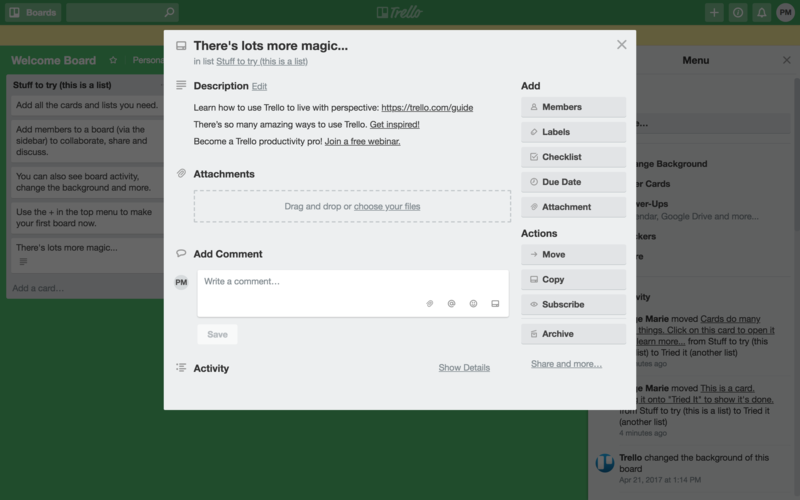 Trello begins their onboarding with an action statement. The card at the top of the first column is an instruction for the user to move that card into the next column. New users are immediately immersed in playing with this new kanban board. The next card down also involves an action on the part of the user. They can then open up a card and see all of the different things that can be added to them. 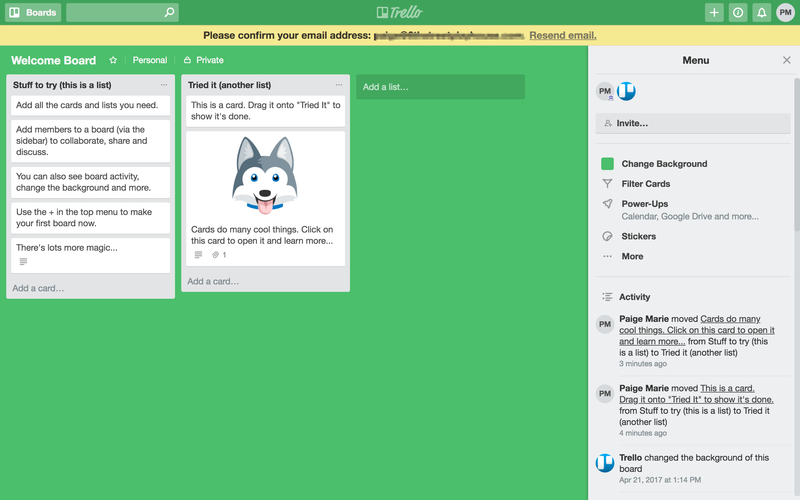 Within these first two cards, Trello demonstrates everything a new user needs to get started organizing their own projects. The rest of the cards highlight the features around the board. They also include an educational card for people who like to go deep into a new tool. Their onboarding executes nice balance between actionable tips and informational background.